three, originally uploaded by jahansell. Click on this for the large view, so you can really see the scenery behind the three trees - it looks straight of a Jane Austen movie! 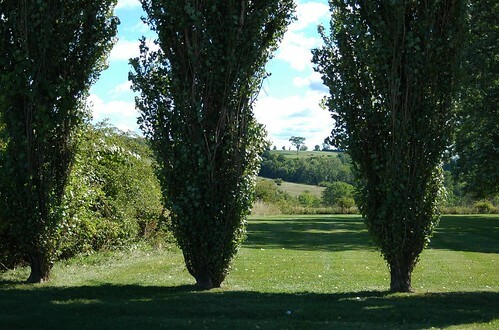 Fabulous countryside; I love the way the lone tree in the distance is framed between the two larger trees in the front.